The Estes Park Police Department is located inside Town Hall at 170 MacGregor Ave., Estes Park CO. Administration and Front Desk services are available Monday - Friday from 8 a.m. to 5 p.m. For non-emergency assistance, assistance after-hours, weekends and holidays contact police dispatch at 970-586-4000 or use the phone located in the foyer of the main entrance to Town Hall. Patrol services are accessible 24/7 by calling police dispatch at 970-586-4000. 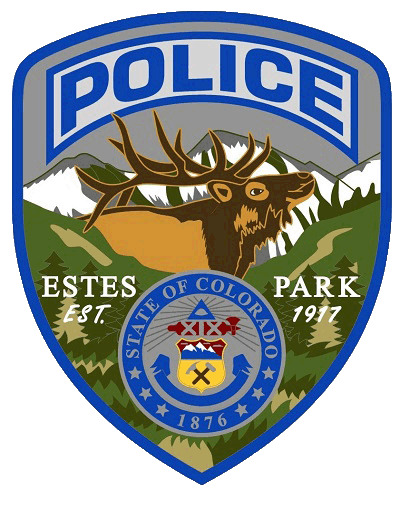 The Estes Park Police Department provides service to the Town of Estes Park and the surrounding Estes Valley. The population of Estes Park is estimated at 6,000 with a total valley estimate of 12,000 people. Each year over 3 million visitors and summer residents visit and pass through Estes Park and the Rocky Mountain National Park which borders the town. Estes Park is the headquarters for Rocky Mountain National Park, which means its population swells significantly during the summer months. To help ensure locals and visitors stay safe during this time, the Estes Park Police Department augments its force with Community Service Officers (CSO). CSOs take care of non-criminal issues like pedestrian safety and traffic flow, so police officers can handle 911 calls. Patrol is responsible for responding to emergency and non-emergency calls for service within Town limits, crime prevention and traffic safety through proactive policing, animal control and multiple special events throughout the year. Patrol consists of 12 Police Officers, two Patrol Sergeants and is overseen by the Operations Commander. In addition to proactive patrol and responding to daily calls for service, officers also take part in special assignments such as School Resource Officer (SRO), Emergency Response Team (ERT), seat belt enforcement and DUI saturation patrols. The Estes Valley Fire Protection District (EVFPD) was established as a result of an election held on November 3, 2009, was ratified on November 17, 2009 and became autonomous on January 1, 2010. The EVFPD is comprised of 5 District Board Members, the Estes Park Volunteer Fire Department & Dive Team, Fire Chief, Training Captain, Fire Marshal and Administrative Assistant. The Estes Valley Fire Protection District is located in southwestern Larimer County and is composed of a portion of unincorporated Larimer County and the Town of Estes Park, encompassing a 66.3 square mile area. There are 2 Fire Stations that serve the Estes Valley community: Station 1 - Dannels Fire Station at 901 N. St. Vrain Ave. and Station 2 - 1600 Mills Drive. The Estes Park Volunteer Fire Department was established in 1907 and has over a century of proud service to the Estes Park community in the area of fire safety protection, education, medical response, dive/water rescue, motor vehicle accident response and general community support. As a professional volunteer department we continue the proud tradition of community service through top-notch training and response to needs in our community. For us to be able to meet the needs of an evergrowing, ever changing community we are looking to expand our ranks with highly motivated men and women willing to take on the challenge of service. Fire suppression, emergency medical care, wildfire suppression, hazardous materials operations, water rescue, search and rescue, vehicle accident extrication, public safety education and more. To enhance the lives of the residents and visitors of the Estes valley through quality compassionate emergency care, education, and public service. Respect: We show respect toward all people and property without regard to individual differences and treat each person with human dignity. Education: Continually provide educational opportunities so as to maintain and improve knowledge base and skill level with a willingness to help educate the public regarding health and safety related topics. Professionalism: Acting ethically with integrity and confidence while being accountable for ones actions to achieve a common goal. Compassion: Demonstrating a deep awareness and concern for the suffering of patients and family members with compassion and respect. Communication: Establish and maintain open lines of communication to provide accurate and timely information while continually striving for improvement of verbal and written skills. Commitment: We make decisions with care and see them through to their completion. We are dedicated to quality patient care and community service. Vision: To be the leader in Emergency Medical Services in the Estes Valley, the Park Hospital District and the Front Range area by maintaining the highest standards of professionalism, clinical care, and community service.